Additional Description: The 3 inch Rifles from McCarthy's Battery deployed forward just in front of the tablet's location. 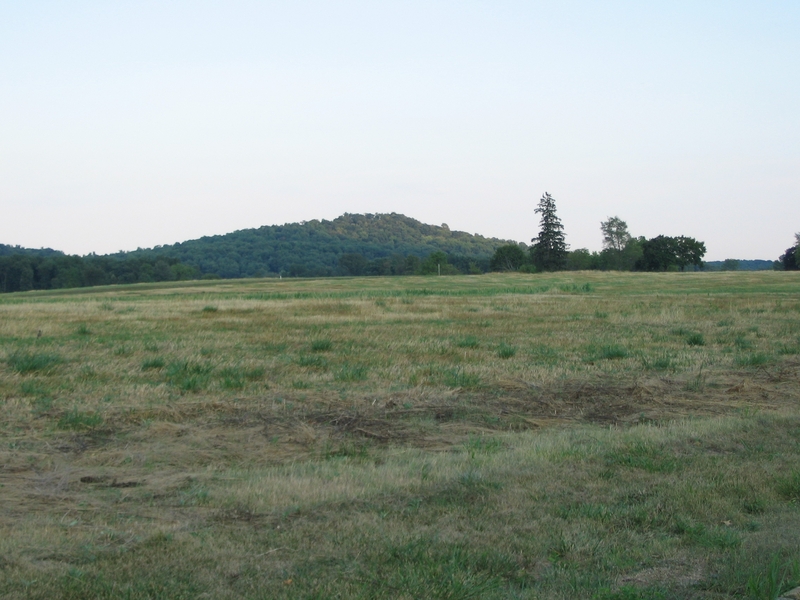 From there the rifles returned fire against Federal guns in the Peach Orchard area, on the far side of Plum Run Valley, and Little Round Top. In the background is Big Round Top. Submitted: October 11, 2008, by Craig Swain of Leesburg, Virginia.